Here we have a Rolex Submariner 14060M For Sale. 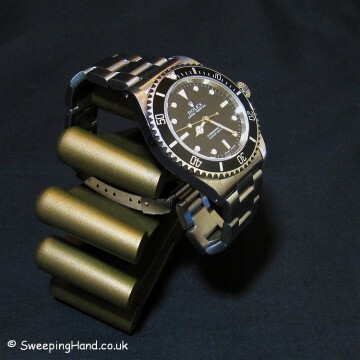 This watch in my opinion is the last of the ‘classics’. The last Rolex Submariner to have that pure dial design, not overcrowded and busy. 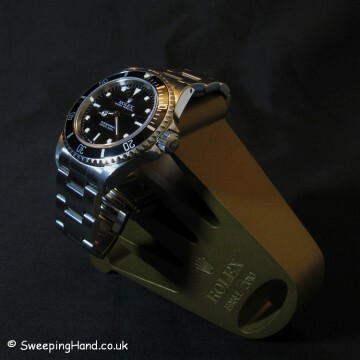 In addition it has those famous lug holes that allow you to switch easily from bracelet to a Nato strap to leather to whatever you please! Each change creating a totally different look but one that remains ultimately an icon. 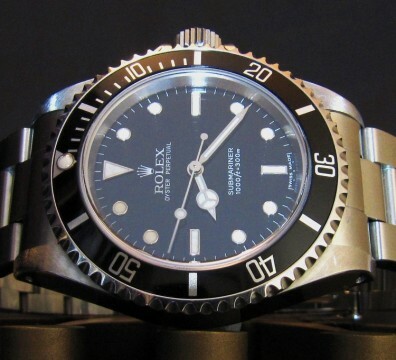 This classic Rolex no date Submariner has no cyclops that often is such a marmite feature with the date watches. 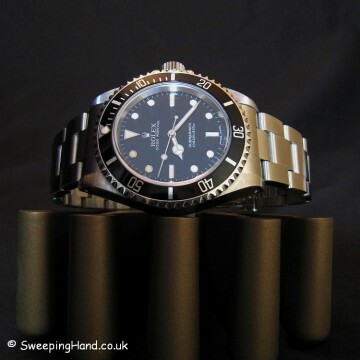 But it does have a saphire crystal, is waterproof to 300m and powered by the Rolex 3130 movement producing 28,800 vibrations per hour meaning this is certainly a watch for every occasion. This particular watch is an F serial from 2004 and in excellent condition and extremely good value! 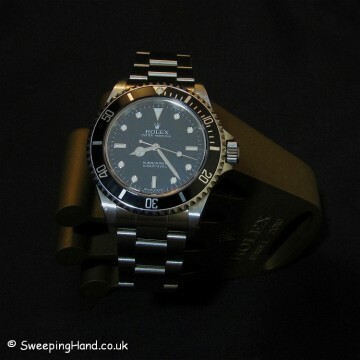 Bracelet: Nice secure excellent condition Rolex 93150 oyster bracelet with fliplock. 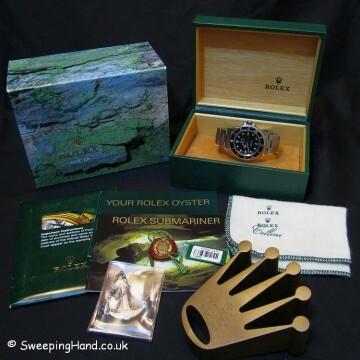 Box & Papers: Comes with original inner and outer box, Your Rolex Oyster booklet, Rolex Submariner booklet, matching swimpruf tag and chronometer tag, 300m anchor and polishing cloth. 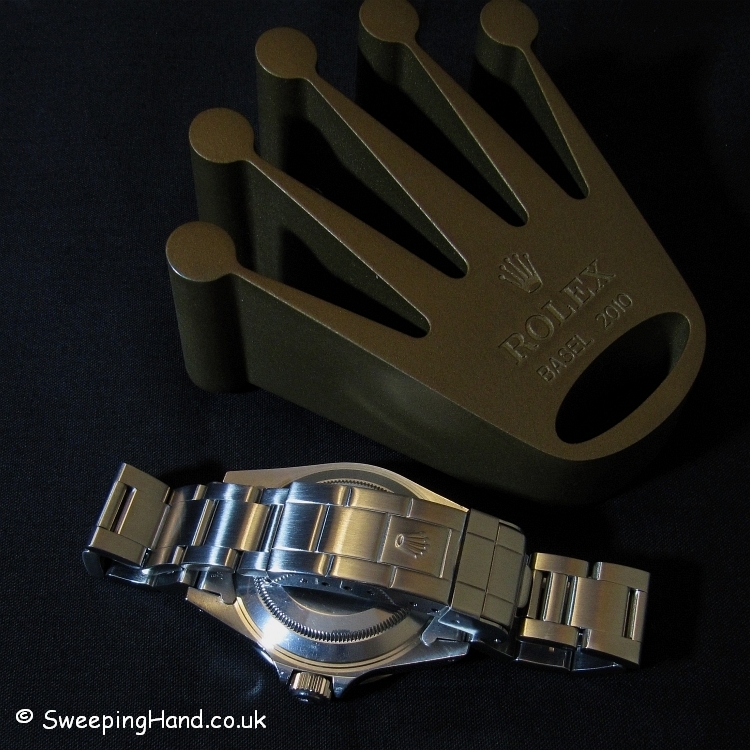 Does not have the original Rolex guarantee (now expired) but does have confirmation of authenticity from Rolex. Can you confirm that this 14060M is not available ?? ?